Rep. Chris Van Hollen, D-Maryland, announced Wednesday that he will run for Sen. Barbara Mikulski's seat in 2016 when she retires from the Senate. "I am excited to share that I have decided to run for the United States Senate from our great State of Maryland. I am very grateful to the citizens of Maryland's Eighth Congressional District for the opportunity to represent them and want to thank the many Marylanders who, over the last 48 hours, have called, sent text messages, or emailed to urge me to run for the United States Senate," Van Hollen wrote in an email to supporters. He said he will make a formal announcement later, "but I wanted to let you know of my plans." Mikulski announced her retirement Monday. When she steps down in January 2017, she will have served five terms in the Senate, making her the longest-serving female member of Congress. The announcement set off immediate speculation about who would replace her. Maryland has seven Democrats in the House, several of whom might throw their hat in the ring. 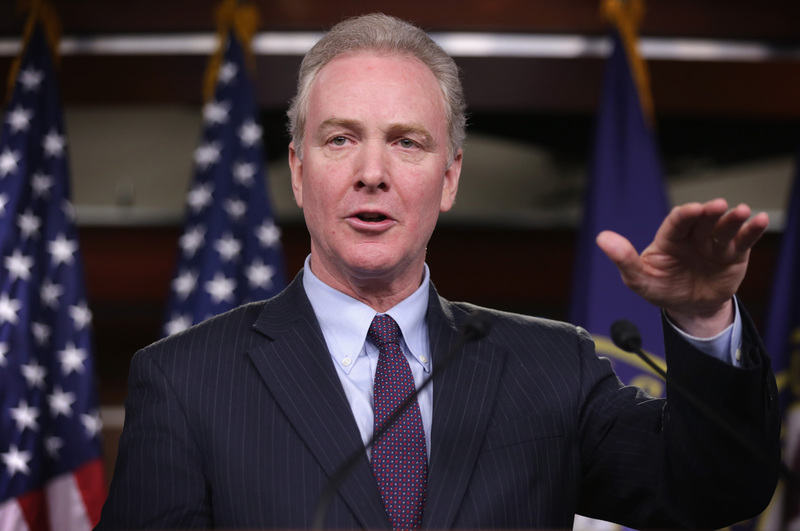 Van Hollen is a member of the House leadership and was viewed as a possible successor to Rep. Nancy Pelosi, D-California, should she step down as the House Democratic leader. He also serves as the top Democrat on the House Budget Committee. In the Facebook post, Van Hollen said he was looking forward to "a healthy exchange of ideas" during the upcoming campaign. "The promise of America is that every individual -- regardless of race, religion, or sexual orientation - will be given an equal opportunity to succeed and prosper. We have fallen short on that promise. I believe that one of the key challenges of our time is the struggle to make sure that America works for all its citizens, not just the wealthy few," he said. In addition to talking about the importance of economic growth and fairness in the tax system, he calls for more investment in scientific research and infrastructure and champions environmental causes like the preservation of the Chesapeake Bay. He billed himself as a person who can work in a bipartisan fashion, writing, "Even though our nation is politically polarized today, I continue to believe in the power of ideas to bring people of goodwill together for the common good." He cited Chesapeake Bay funding, expanding pediatric cancer research and providing families with disabled children access to tax-free savings accounts as examples of issues where he has worked with Republicans. Van Hollen also mentioned his role in helping to free Alan Gross, a U.S. government subcontractor who was released late last year from a Cuban prison. Gross is a constituent of Van Hollen's and resides in Maryland's eighth congressional district. An earlier version of this story stated that Van Hollen announced his intent to run for Senate in a Facebook post. It was in an email to supporters.